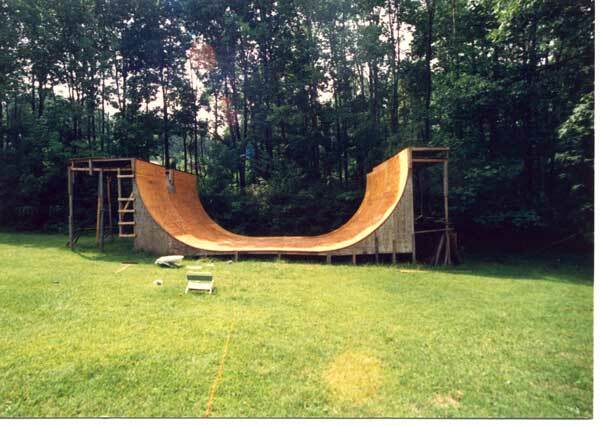 590: Jeff Roenning has built/owned more ramps than you! 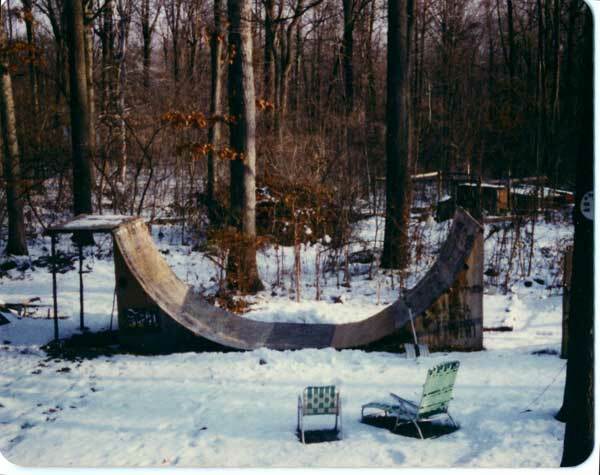 Jeff Roenning has built more personal backyard ramps than anyone I can think of. They were always taller, wider and longer then anyone’s around as well. I cant tell you how often the alliteration Roenning’s Ramp has been used. 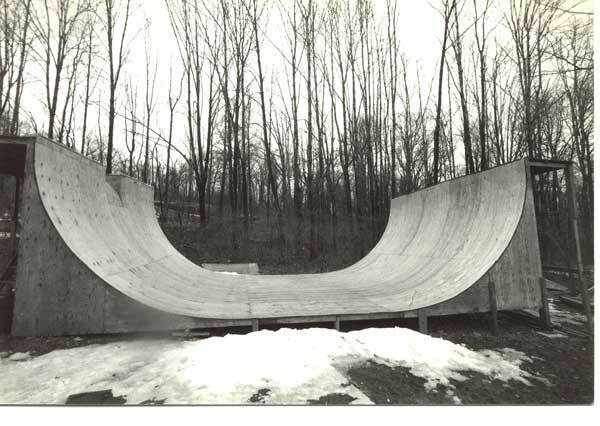 Prior to attending the Watchung Hills Regional High School Skate Academy (where we all came together) I was dragged to church on Sundays by my Mother and one day en route I spied one of Jeff Roenning’s Mega Ramps. 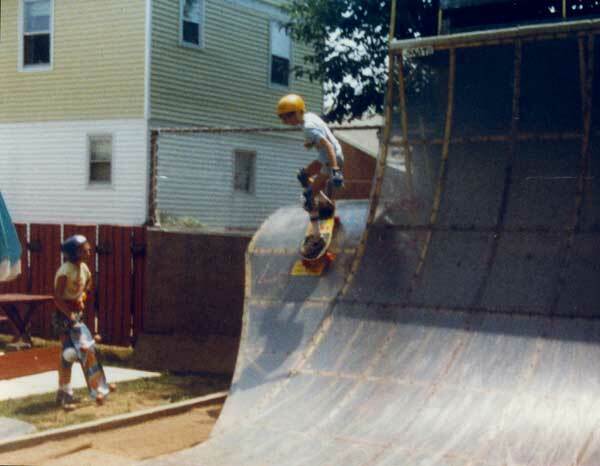 At the time I was riding Lackland’s – an 8 foot wide ramp along with Rocky Vertone and some other friends. 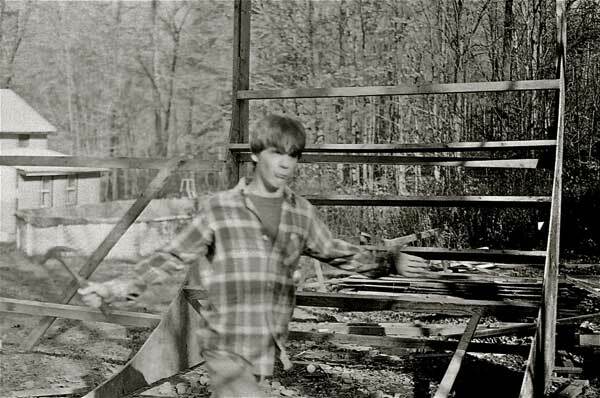 It was in the woods near to my house (only a 45 minute skate) and I had not met Jeff yet because we attended different Junior High schools. 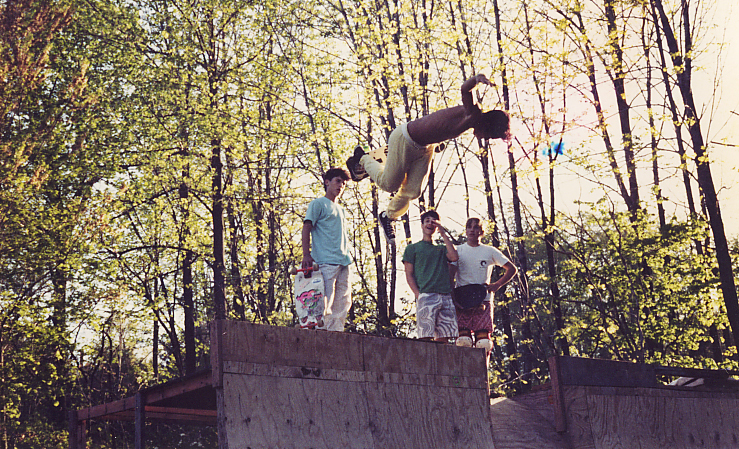 After that day I went on to ride Roenning’s Ramps (starting with number five) and we have been friends ever since. When I showed up in High School a year or two later I was introduced to Tag, Corn, Weep, The Kanes, The Padulos, The McDowalls, The Pruskowski’s, Taylor, Tom, Murph, Bernie,Darren,Jay Henry, John Ballon, Papo, Jaime,Jeremy, Irene (the NYC crew) and then a further cast of out of State characters(PA,MD,VA,TX,CA,MA,CT,DC..etc etc) plus all those younger then us(and this list continues to grow). 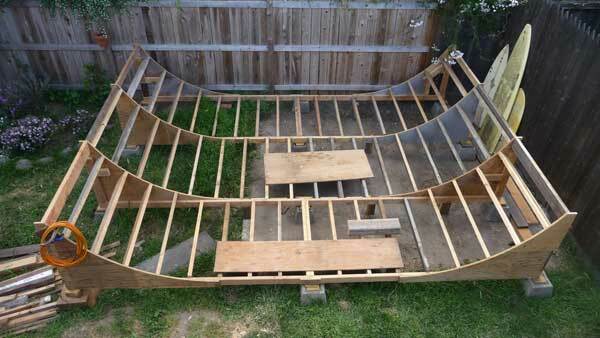 Jeff is currently building ramp number eight, a mini ramp in his backyard built completely with wood salvaged from the Santa Cruz dump…you can’t shake that [En-Jay] DIY spirit it seems. 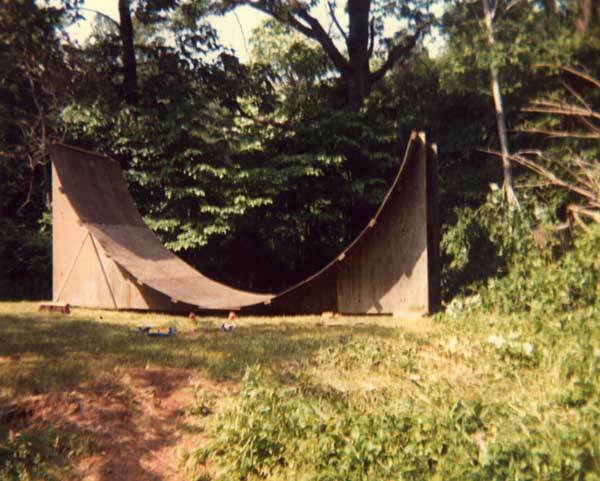 Jeff also has a killer website about skateparks in CA Mostly Roundwall so check it out. 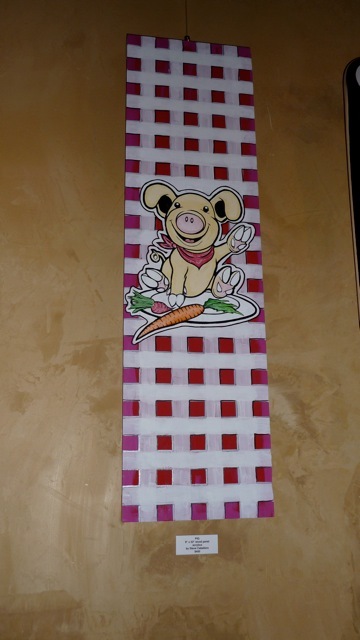 I have attached some photo’s of Jeff’s ramps I will try to add all 7. 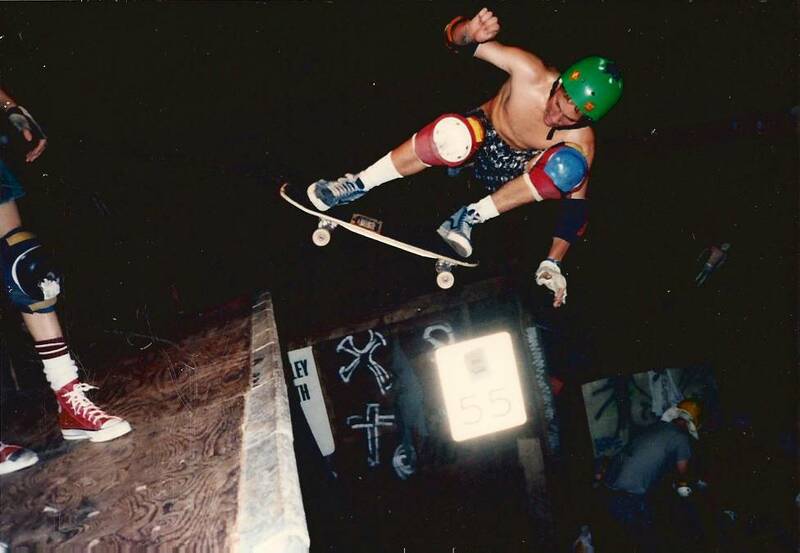 This entry was posted in Chris Miller, Christian Hosoi, Jeff Roenning, Rob Roskopp and tagged Chris Miller, Christian Hosoi, Jason oliva, Jeff Roenning, Rocky Vertone on May 27, 2010 by jasonoliva. 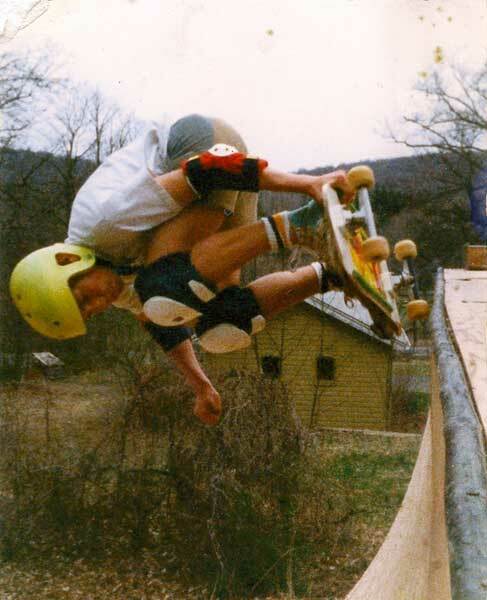 Killer shot of Jeff Roenning making those first ventures onto the invisible transition that lied above the coping. Piloting the original Vision Tom Groholski ‘Jersey Devil’ board as well. 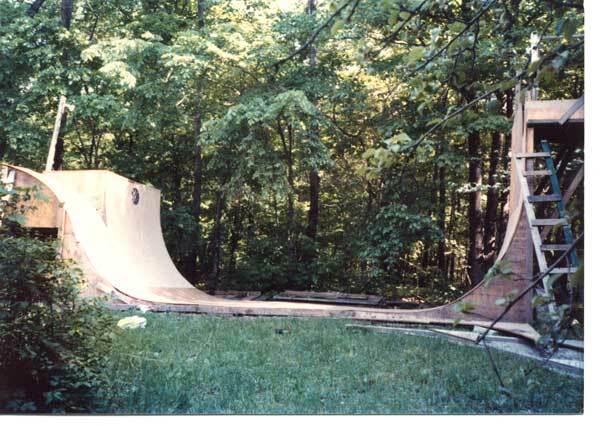 So many people road this board back in the day..everyone I went to High School with and Mike V for starters. 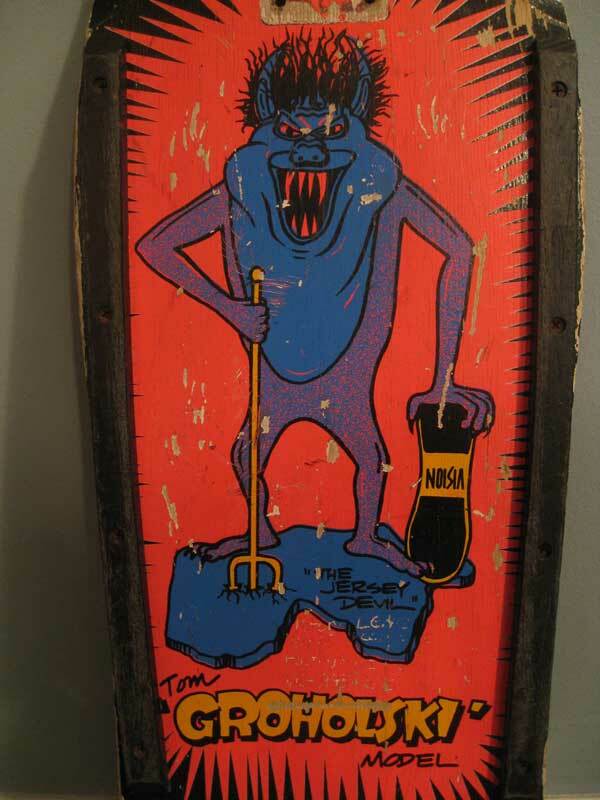 Tom’s backyard ramp was the only ‘public’ skatepark in existence at the time when this board was out so it was like if you went to Graceland and Elvis gave you a TCB necklace…you wore it. There was no Euro or paypal back then Groholski decks were the preferred currency of choice. 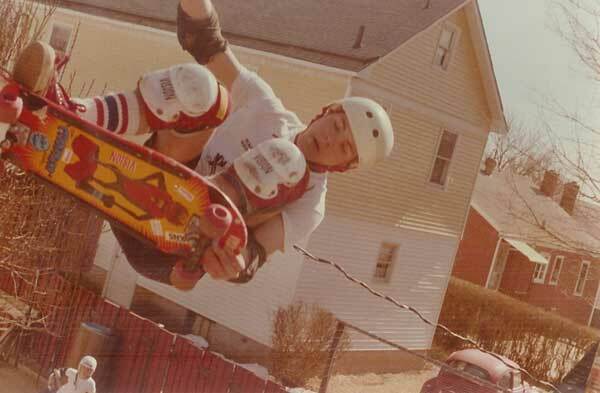 Before going to The Barn I road the magazine boards myself…First Steve Olsen then Tony Hawk for example but something changes when you see people like Murph, Tom, Tag, Herring,Bernie, Jay and John Ballon amongst others skate in person. 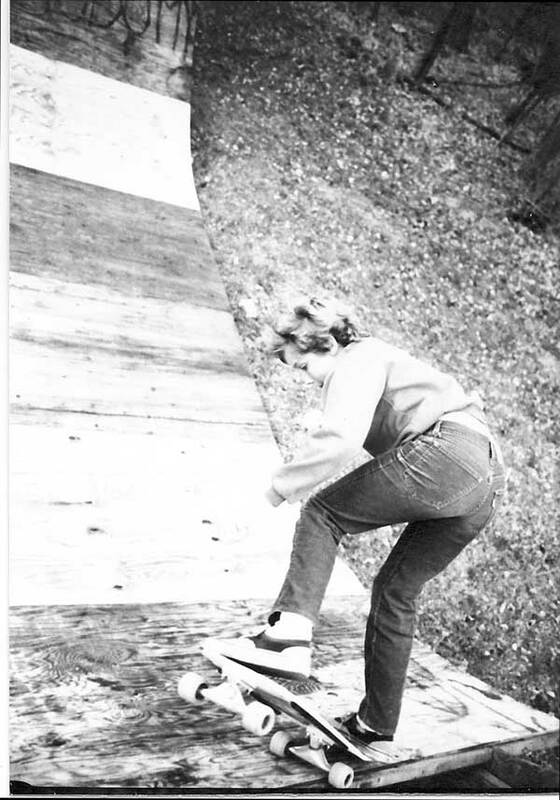 Suddenly you want to ride the boards you see clanking the coping and flying past your chin while standing on the deck…it was no longer the California fantasy of the mags (I credit Jeff Turko for that phrase) which made one think if I had that I could do that…. it switches immediately after you see some one like Tom skate in person to ….if I ride that I have no excuse for not being able to do that other then my own abilities and ambitions. Seeing people ride the gear like that in person put the emphasis back onto the person where it belonged. 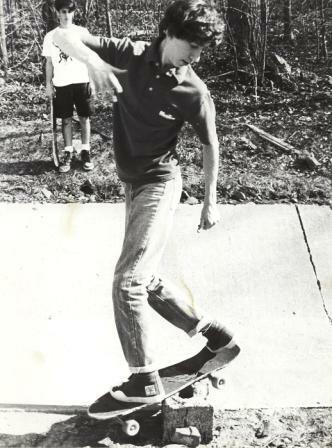 Skating ability is so democratic if you were good the board just didnt matter..I once saw Bernie do his entire repertoire of tricks at Ocean City while riding some kids long board…wish I had a video camera that day…inverts to fakie on a 4 foot skateboard is a site to behold. Anyway were was I?…Oh yeah its a simple equation of this begets that. PS. JR has re-discovered a box of old media so the Skate.Jpeg business is good! 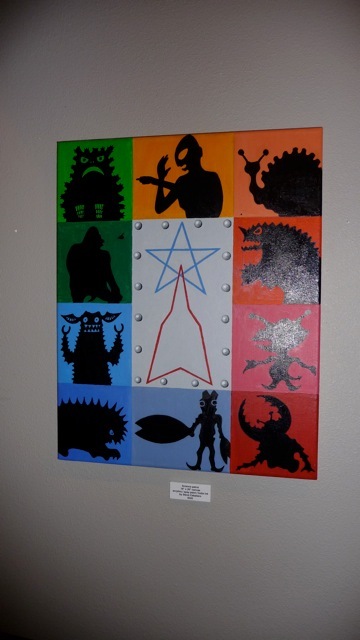 This entry was posted in Jeff Roenning, photos by Jeff Roenning, Photos by The Padulos, Tom Groholski on May 12, 2010 by jasonoliva. 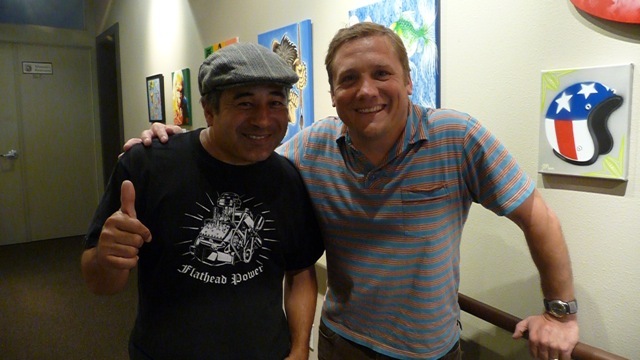 There are so many reason’s to dig Steve Caballero. The fact that he is one of the premiere ambassadors of skateboarding is one reason…The fact he lives a life full of strong faith and conviction which he uses to inspire is another good reason. At THOS we have even recently gone out of pocket to show how much we dig his music (a third good reason) . 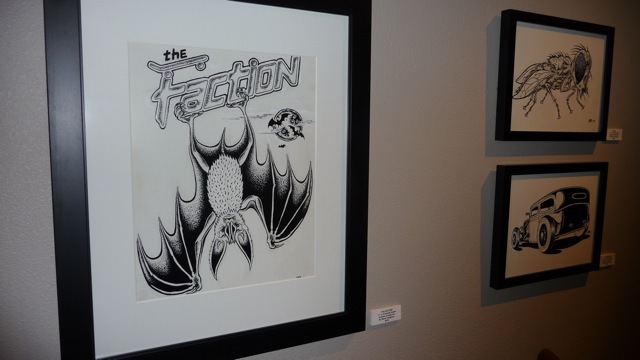 So if you were unaware and were also looking for a further reason to dig Cab here are some images from his recent art exhibition in Santa Cruz. Jeff stopped by last night and they chatted like old friends. 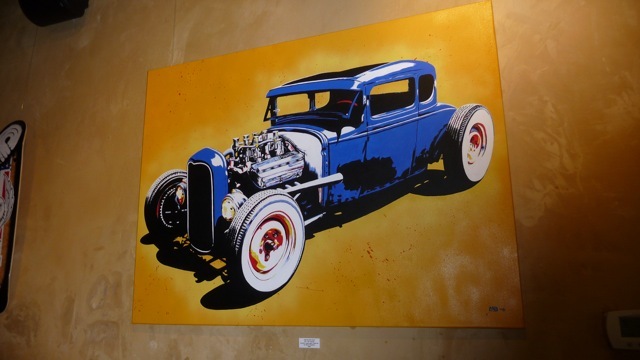 Steve has a cool visual vocabulary: Hot Rods, Helmets, animals and 70’s Japanese Movies and Television….he is adept at painting with acrylics, pen and ink, silk screening and stencilling. 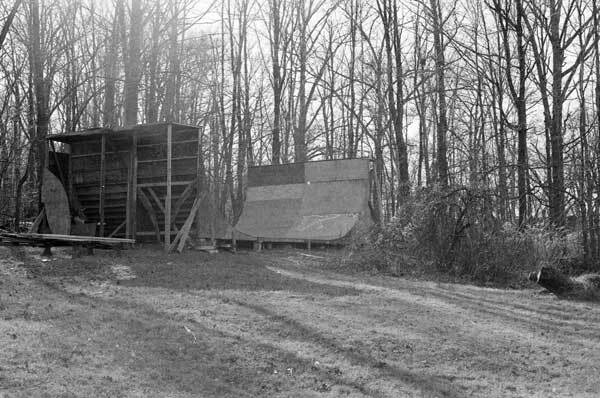 This entry was posted in Jeff Roenning, Steve Caballero and tagged ART, backyard ramps, boards, diy, east coast, house of steam, independent, jason, Jason oliva, jasonoliva, Jeff Roenning, landshark wheels, New Jersey, New York City, old school, old school skateboarders, oliva, paintings, photography, pool Skating, ramp, ride, sk8, sk8t, skate, skate decks, skate history, skate photography, Skate ramps, skate stickers, skate trucks, skate wheels, skateboarding, skateboarding history, skateboarding photography, skateboarding podcast, skateboards, skatepark, skater, SKATERS, steam, Steve Caballero, steve caballero art, Stickers, Street Skating, TEAM STEAM, The Barn, The House of Steam, the house of steam shop, the house of steam video podcast, thos, thos shop, those, those shop, those video podcast, underground, underground skateboards, vert, vert ramps, Vert Skating on April 10, 2010 by jasonoliva. 490: Jeff Roenning some things never change even after 23 years. Photo…you guessed it The Padulo Bros. I guess your skate style is like a finger print no way to change it or disguise it…JR got together with Matt and Dave Padulo last week in NJ after some 23 odd years ….they had a grand “old” time. 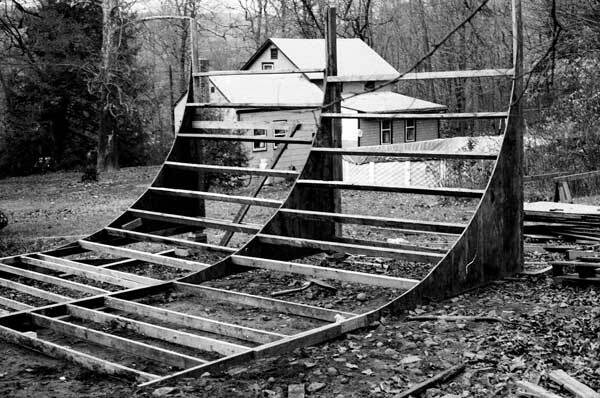 This entry was posted in Jeff Roenning, Photos by Ken & Steven Deitz and tagged ART, backyard ramps, boards, Dave Padulo, east coast, jason, Jason oliva, jasonoliva, Jeff Roenning, Matt Padulo, New Jersey, New York City, oliva, paintings, photography, pool Skating, ramp, ride, sk8, sk8t, skate, skate decks, skate history, skate photography, Skate ramps, skate trucks, skate wheels, skateboarding, skateboarding history, skateboarding photography, skateboards, skatepark, skater, SKATERS, steam, Street Skating, TEAM STEAM, The Barn, The House of Steam, thos, vert, vert ramps, Vert Skating on January 31, 2010 by jasonoliva.